Can anyone in mainstream media think for themselves? Could it be they are all just dishonest and evil? Are the masses really more clueless than even I have previously thought (and my ranking of their intellectual capability wasn't very high in the first place)? The current mainstream media narrative is that the email chain released by Donald Trump Jr. proves Russian collusion---when it actually proves the opposite. 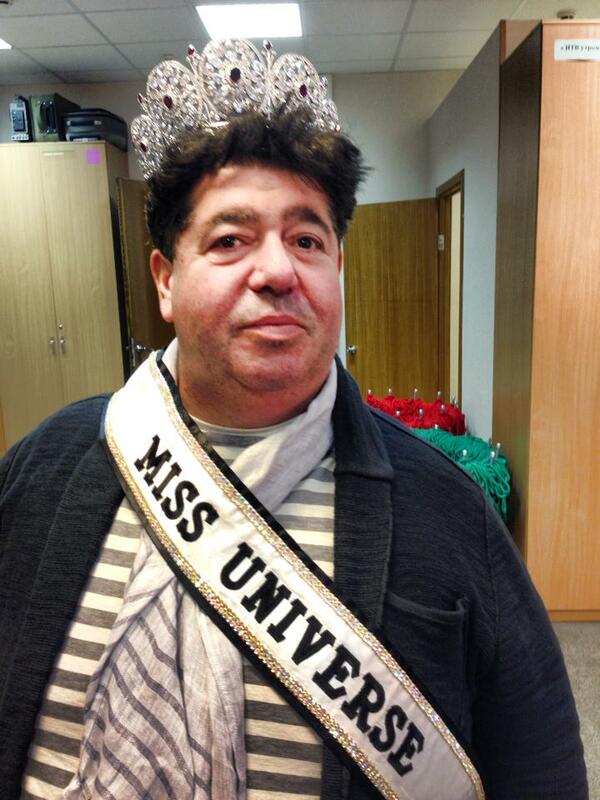 We learn from the email that one, Rob Goldstone, contacted Don Jr. with the news that he had a contact close to the Russian government that had dirt on Hillary. 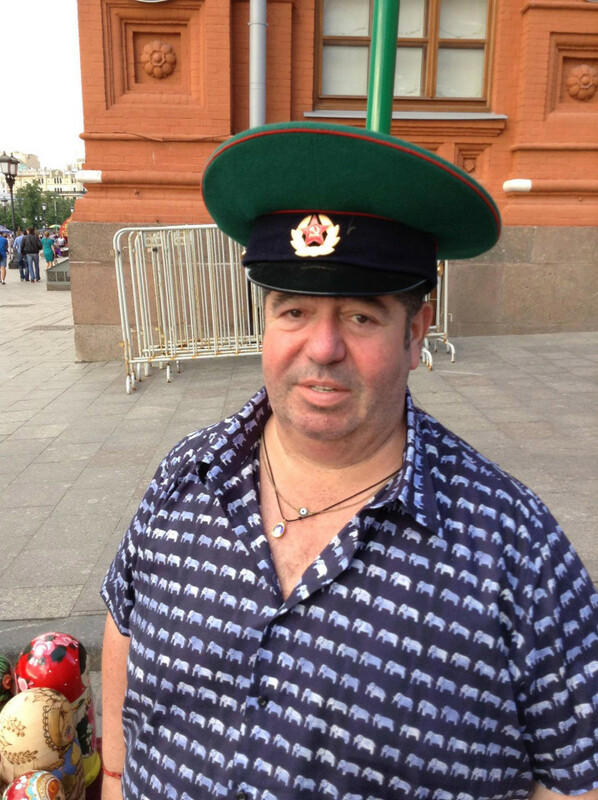 His contact had met with the "Crown prosecutor of Russia," wrote Goldstone in an email. There is no such position in Russia. He claims he is a music publicist. If you want to meet a music publicist like his type (sans the headgear) go any night of the week to Skybar in Hollywood. If they don't tell you they are music publicists, they will tell you they are movie producers, At Skybar the titles are interchangeable, if you are a female looking to break into movies, they are movie producers. If you are a female singer, they are music publicists. And if you are male, this type will tell you about all the access they have to private Hollywood parties but you will end up picking up the tab that night at Skybar. Somehow, though, this music publicist Goldstone can work it. He somehow managed to get himself hooked up to the Trump family and the Miss Universe pageant that was held in Moscow in 2013. Folks, look at this guy. If this guy can finagle, there is hope for all of us. He is now apparently collecting regular checks from the billionaire business tycoon Aras Agalarov. You see, Goldstone is managing the music career of Emin, the son of Agalarov. 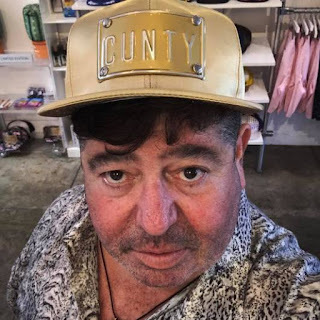 Goldstone does have his hooks into Trump for some reason. But here is the current story. This, indeed, is the character that reached out to Donald Jr. with his "Crown prosecutor of Russia" connection. If the Russians were in collusion with the Trump campaign, wouldn't Donnie reach out to those he was colluding with and ask what kind of dirt the "Crown prosecutor of Russia" was coming with? It proves there was no collusion since Jared Kushner and then campaign manager Paul Manafort also sat in on the meeting. If they had real Russian contacts to vet, before the meeting, the contact, the Russian lawyer,Natalia Veselnitskaya, the meeting would never have occurred. Here is what likely really went down. 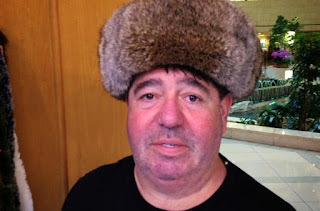 Despite the headwear, Goldstone appears to have tier 1 level Skybar game. Most likely because of his skillful stretching of truth and the various "Crown prosecutors" etc.tales he can weave. So he spills the Crown prosecutor has dirt on Hillary spiel on Don Jr. because he is probably working some kind of angle on Veselnitskaya who seems to have a genuine concern for Russian orphans. Yes, he puts the two together in a meeting that is complete nonsense. The most charitable scenario is that he was thinking along the lines of,"Well who the hell knows what will happen? Maybe they will find common ground on something once the Trump campaign realizes that she has no dirt on Hillary and she realizes they do not have any particular interest in Russian orphans." But at Skybar, this would be considered an A level success. She also said that in the meeting, Trump Jr. asked her just one question. “The question that I was asked was as follows: whether I had any financial records which might prove that the funds used to sponsor the D.N.C. were coming from inappropriate sources." She described how Trump Jr. ran the meeting, which she said lasted 20-30 minutes. Two other men who she never met by name were also in the room. She said she only realized three days ago who they were after seeing their photos in the news. Those men were Jared Kushner, the president's son-in-law, and Paul Manafort, who at the time was running the Trump campaign. “I could recognize the young gentleman who was only present in the meeting for probably the first seven to 10 minutes, and then he stood up and left the room,” she said. “It was Mr. Jared Kushner. And he never came back, by the way. “And the other individual who was in the same meeting, but all the time he was looking at his phone. He was reading something. He never took any active part in the conversation. That was Mr. Manafort." Midway in the interview, she described Manafort as "absent-minded." And there you have it, for purposes unknown, Goldstone set this meeting up. It could have been to boost his own street cred. He could have been operating for a state operator, US or Russian, to set Trump up. 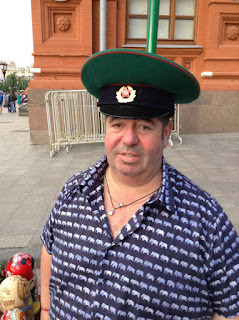 Any intelligence agency would love to have on their payroll a goofy, complex cutout like Goldstone who gets around, so it's possible he could be working for either. But in the end, all this "meeting scandal" proves is that the Trump campaign had no active Russian collusion effort going on. 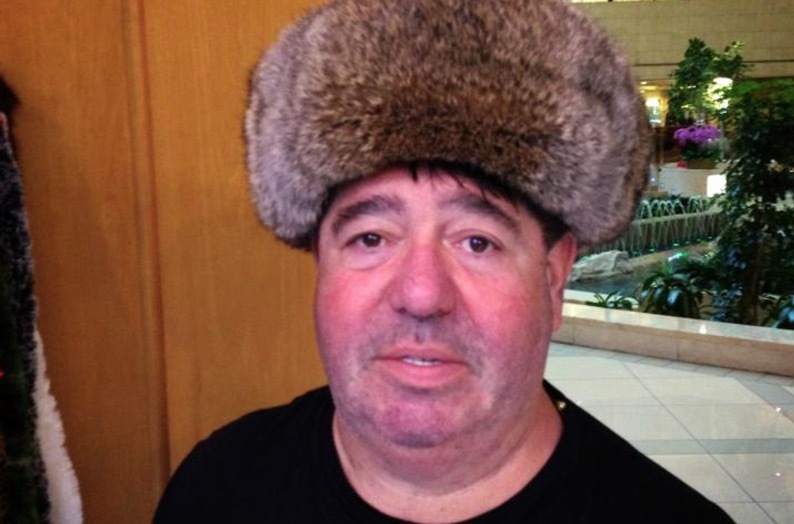 One more thing, I just went to the store to buy more popcorn in case a Congressional committee questions Goldstone in an open hearing. RW, you appear to argue that email chain proves there was no collusion with Trump campaign from it's inception - perhaps. Emails do show that Jr was eager to collude, but since Trumps say it was a "nothing meeting", after previously and repeatedly denying meeting ever occurred, we should accept this assertion as accurate. Not your most persuasive argument you've posted. You are using the word "collude" improperly. You came here to read RW's article. Does that mean you are colluding with him? No. If you were called by a salesman who said he could tell you how to make some money and you listened to his pitch, does that mean that you colluded with him? No! Colluding? You mean "colluding" to reveal crimes committed by Hillary Clinton? This is what Don thought the meeting was about: "official documents and information that would incriminate Hillary and her dealings with Russia". Uncovering wrongdoing when its true is "oppo research." When it is false--as in the case of numerous HRC insinuations--it is criminality. The masses are clueless, and happy to be so.